When I finally got my caramel recipe just right, my head started spinning with all of the variations of caramels I could make. 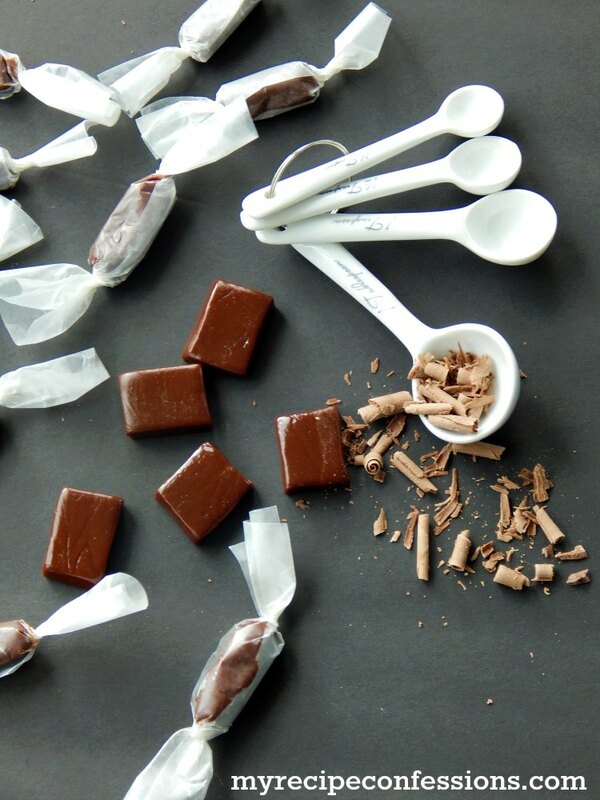 One of the first ideas that popped into my head was Chocolate Caramels. I had to run to the store and buy the supplies because I knew if I didn’t, I wouldn’t be able to sleep. I know, I am a little crazy when it comes to food. Generally when I develop a recipe, it takes a few batches to get it just right. This recipe I have to say was love at first bite! Then of course the doubt set in because it always does and I began to ask my husband if he thought I needed to cut back on the chocolate. He insisted that it was perfect just the way it was. This caramel reminds me of the chocolate caramel suckers they sell at See’s Candy. 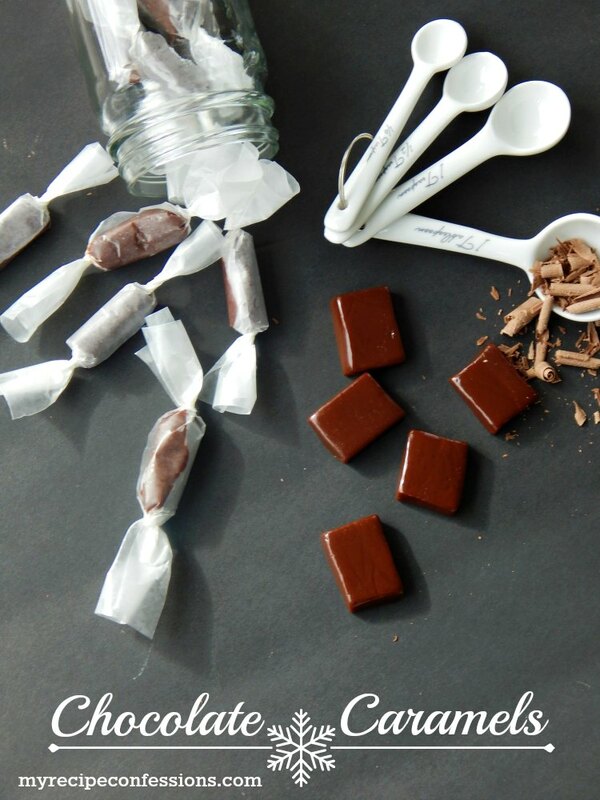 If you love chocolate and you love caramel, well this recipe is a no brainer! In a thick bottom sauce pan over medium-high heat, melt the butter. Add the brown sugar, corn syrup, sweetened condensed milk, unsweetened chocolate bar, and salt to the melted butter. Stir until combined. Once the caramel comes to a full rolling boil, set the timer for 7 minutes and whisk it constantly. Check the caramel consistency by placing a spoon into the caramel and then dip the covered spoon immediately into the cold water. If the caramel on the spoon immediately forms a soft ball, remove the pan from the heat, about 7 minutes. Immediately whisk in the vanilla and heavy cream. Pour the hot caramel into the greased 9×13 inch pan. Do not scrape the caramel off the bottom of the pan!